A year after the landmark Paulley case, ministers have pledged to bring in 'new measures' to ensure that wheelchair users can access designated spaces on buses. 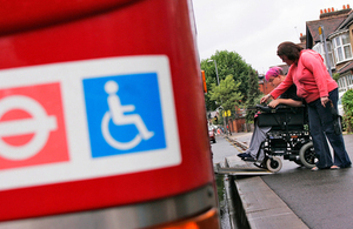 The Department for Transport (DfT) announced that it will begin ‘developing proposals to ensure that wheelchair users can access buses and that drivers can fulfil the duties given to them by the courts’. It follows the Supreme Court judgment in January last year in a case brought by wheelchair user Doug Paulley. The court found that bus operators are under an obligation to apply ‘pressure’ to non-wheelchair users to vacate the designated space but said operators could not force non-wheelchair users out of the space or off the bus. The DfT said it had accepted ‘expert legal recommendations aimed at ensuring that wheelchair users can access bus services’. It said the implications of the Supreme Court ruling are ‘that passengers who do not require the wheelchair space should be required to move when it is needed by a wheelchair user’. Keith Richards, chair of the Disabled Persons’ Transport Advisory Committee, said: ‘The committee welcomed the speed of the department’s response to the Supreme Court’s judgement on the use of wheelchair spaces. ‘Fighting for what is essential space should not be part of the day-to-day experience wheelchair users have when using buses. We hope the department will maintain its pace into the implementation phase, to ensure that wheelchair users no longer face these challenges or have to fight for facilities provided for them in law. Officials said the move followed close engagement with representatives from passenger groups, and that as plans progress the Government will continue to work closely with these groups and other stakeholders, including drivers, disabled people and members of the public travelling with young children, in order to ensure the plans are informed by those most affected by them.